With a weather being colder and colder in Paris, it’s the occasion to sit in and enjoy delightful Sunday brunches once or twice a month. But you have to carefully select your place… Let’s discover La Brasserie Urbaine at Molitor hotel, Paris. 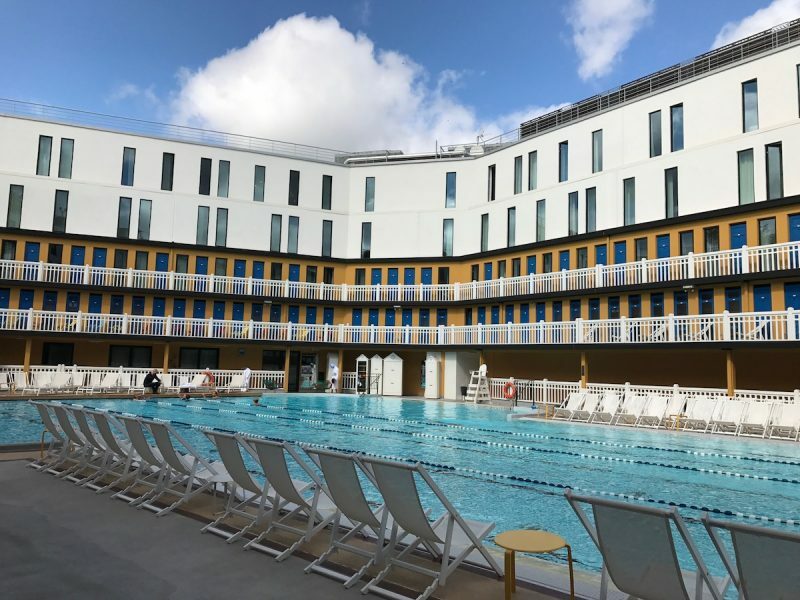 Located between Rolland-Garros tennis courts and the famous Parc des Princes, stadium of the parisian football team “PSG”, Molitor is an incredible contemporary luxury hotel hosting plenty of interesting venues. Lucky guests can enjoy two historical pools (one indoor, one outdoor), a gorgeous Spa by Clarins, a beautiful rooftop bar and La Brasserie Urbaine restaurant, THE place to be on Sundays for brunch. 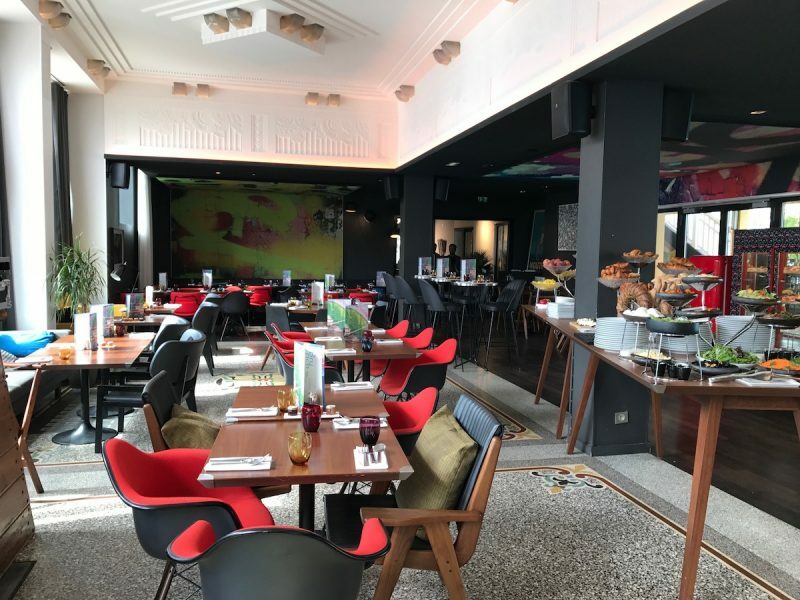 La Brasserie Urbaine offers a mix of modern and Art Déco design in its average-size room – around 40 people max – with nice views over Molitor outdoor pool. Art pieces from young and trendy designers/artists achieve the atmosphere of chic and exclusiveness of that place. Clientele is pretty young – 35/45yo – and you often meet celebrities; we have been lucky enough to meet Alain Ducasse and its family during our brunch. I have to say it was full, booking in advance is really mandatory. Main room – a wonderful décor! I recommend to book a table next window (street side) or outside near the pool, especially for couples. They are a bit more cozy and far from “big” tables, which I personally prefer. Chef Jean Baptiste Dutac proposes a cuisine which is, as they said on Molitor’s website: “honest, contemporary and uncomplicated“. And it’s absolutely true. 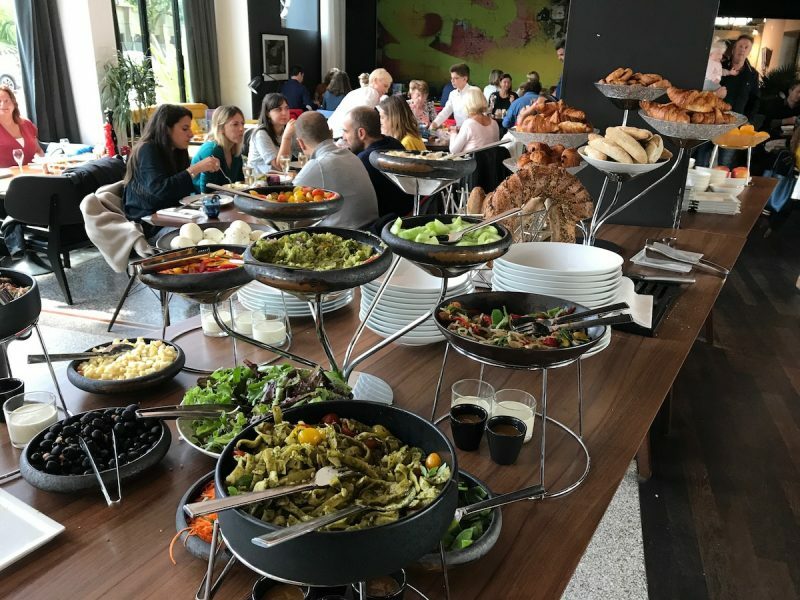 The Sunday brunch consists in a huge buffet: a salad bar, an English breakfast selection, cold and hot dishes, a seafood tray and delicious traditional French desserts. Everything homemade. Oh, and you start the journey with a glass of Laurent Perrier Champagne. Cheers! This time we enjoyed beef and cabillaud skewers as main courses, just perfect for a late summer. Together with a tasty apple-banana-strawberry smoothie, it’s a nice combination. How to conclude? With minute pancakes and waffles, of course! What makes this restaurant absolutely unique is definitely the hosting place: Molitor. 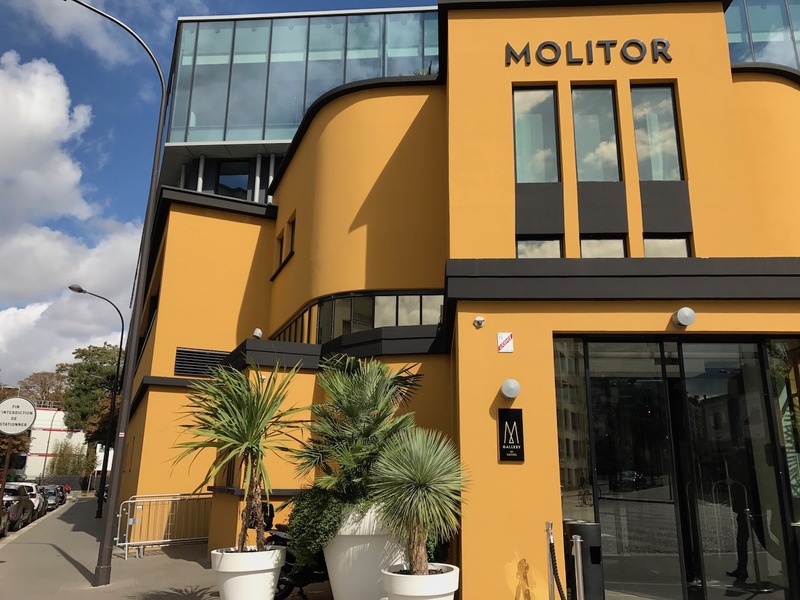 Since its entire renovation in 2014 and transformation into luxury hotel, Molitor Paris is a colorful and modern art gallery where fancy local guests – as well as hipsters – are meeting on weekends. Whatever for the Spa by Clarins or a glass of Champagne at rooftop, there is always a reason to come at Molitor. 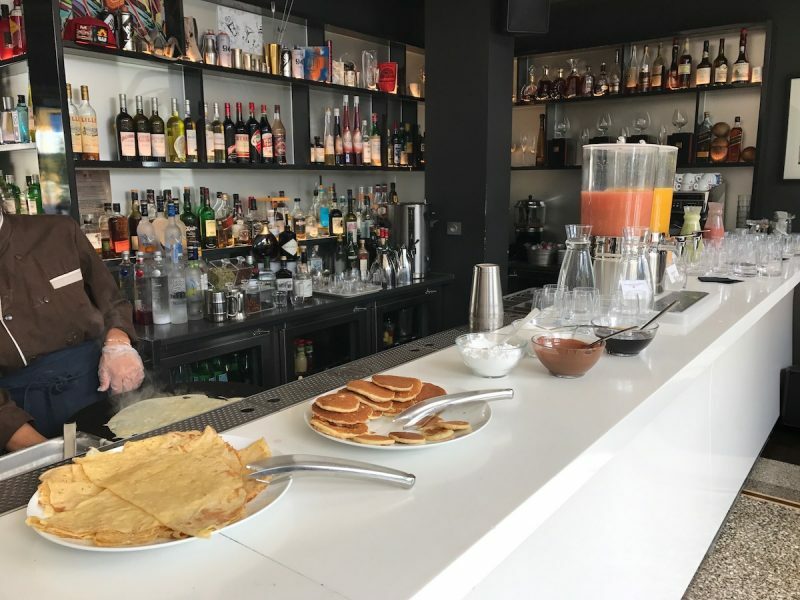 Regarding the unique location, quality of the food and the asking price, EUR75 per guest, La Brasserie Urbaine is really good value for money. Among all the brunch I did in Paris, it’s certainly one of the best and for sure I will come back. A serious candidate for 2018 New Year dinner, as well! Visited on September 10th, 2017 – Non-sponsored media visit.